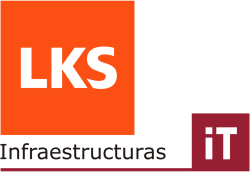 LKS INFRAESTRUCTURAS IT’s emerges from the strategic interest of the Division of Engineering and Services of Mondrago Corporation (MISE) in the area of the Information and Communication Technologies and Cloud Computing Services, with the mission of providing integral and innovative solutions and services based on the ICT. Its activity includes designing, developing and establishing projects, solutions and services in the ICT environment, performing activities ranging from consultancy, auditing and analysis to provisioning and establishing advanced services, as well as the management and guidance of turn-key projects. LKS Infraestructuras IT will host and maintain the city management platform and provide the call center services for supporting the Home Energy Management System installed in Vitoria-Gasteiz Lighthouse.